2007 Nobel Prize in Economics. Guest lecturer and Nobel Prize winner Eric Maskin explains how one voting method gives the truest reflection of voters' preferences. Links to video included. What if everyone who voted for Ralph Nader in the 2000 presidential election could have listed Al Gore as their second choice? And what if that 2nd-place ranking had counted as part of Gore's voting percentage? Would Gore still have lost the election? 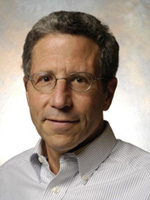 Those are some of the questions posed by mathematical economist Eric Maskin of the Institute for Advanced Study in Princeton, New Jersey last Friday during his guest lecture to a packed Sharpless Auditorium. Entitled“How Presidents Should Be Elected,” Maskin's talk revealed that while every voting system has its weaknesses, one method seems to work the best the most often, and could have reduced the confusion and dissatisfaction of voters in the 2000 election. Since the 1700's, voting theoristsâ€”including Alice in Wonderland author Lewis Carrollâ€”have argued that voting for a single candidate prevents voters from adequately expressing their preferences. In its place, voting theorists have devised two major voting systems that allow voters to rank each candidate in their vote:“rank-order voting” and“true majority rule.” In rank-order voting, rankings are treated as points which are multiplied by the number of voters who gave the rankings. Maskin's example imagines that exactly 100 million people voted in the 2000 presidential election for the four major candidates that year (Gore, Bush, Nader and Buchanan) and that voters were allowed to rank those candidates (4 points for their most favored candidate, 1 point for their least favored candidate). What might happen if 49 percent of the electorate consisted of“Gore voters” (voters who ranked Gore first), 48 percent of Bush voters, 2 percent of Nader voters, and 1 percent of Buchanan voters? The 49 million Gore voters give him 196 million points (4 points times 49 million). If 2 million Nader voters rank Gore second, Gore picks up another 6 million points. Finally, if we assume that Bush and Buchanan voters would rank Gore third, he would receive an additional 98 million points for a total of 300 million points. Make the corresponding calculations for all the candidates, and we find that Bush wins the election with 346 million points. But how could Bush win with 1 million fewer first-rank votes than Gore? As Maskin explained, if Bush voters rank Gore third (below Buchanan), but Gore voters rank Bush second (above Nader), then Bush picks up enough second place votes to carry the election. Not the results Democrats would have wanted, but at least the voting system's fair, right? Not entirely, explained Maskin, because in this example Buchanan, a third-party candidate with no chance of winning, threw the election in Bush's favor. Instead of blaming Nader for their loss, Democrats could point their fingers at Buchanan. Voting theorists like Maskin call this a violation of the principle of neutralityâ€”the idea that the presence of a candidate who has no possibility of winning an election should not affect which potential winner is elected.. For this reason, voting theorists would say that rank-order voting is an imperfect voting system. In a true majority system, voters also rank candidates, but the winning candidate is the one who beats each opponent in a head-to-head competition based on the rankings. If we apply the true majority system to the example given above, we find that the tables have turnedâ€”now Gore wins the election. That's because even though Gore only has 49 percent of the vote the 2 percent of Nader voters also rank Gore above Bush and Buchanan, giving Gore the 51 percent majority. Have we found the perfect voting system? Not quite, explained Maskin. The true majority system produced a clear winner when two candidates dominated the electorate. But what if the electorate was split fairly evenly between three candidates (as has sometimes happened in European countries that have multiple-party systems)? Say, for example, that 35 percent of the electorate ranks Gore above Bush above Nader, that 32 percent ranks Bush above Nader above Gore, and that 32 percent ranks Nader above Gore above Bush. As one might already guess, the results of this election would produce no clear winnerâ€”no matter what candidate is chosen, at least 65 percent of voters prefer somebody else. Voting theorists call this possibility the Condorcet cycle after its French discoverer, Marie-Jean-Antione-Nicholas de Caritat, the Marquis de Condorcet. This cycle violates another essential aspect of an ideal voting system, transivityâ€”the idea that if candidate A is chosen over B, and B over C, then A should be chosen over C.
So if both rank-order voting and true majority rule have potential flaws, then what is the perfect voting system? The answer, explained Maskin, is that there is no perfect voting system, and that there never will be one. In fact, Kenneth Arrowâ€”one of the 1972 Nobel laureates in economicsâ€”was so confident that no perfect voting method exists that he even devised a theorem about it: Arrow's impossibility theorem. But Maskin, who had Arrow as his thesis adviser, wasn't prepared to settle for that. In a result known as the majority dominance theorem, Maskin and his colleague Partha Dasgupta of the University of Cambridge have shown that there is one voting rule that takes the lead: true majority rule, in part because the Cordorcet cycle, while indeed crippling to true majority rule, rarely reflects the ideology that drives voter preferences. Think back to the example of the Condorcet cycle given above. Why would the 32 percent of Bush voters rank Nader, an extremely left candidate, above Gore, who is more moderate? If anything, one would expect Bush voters to rank Gore above Nader. With this slight change in rankings, the Condorcet cycle is now broken. So true majority rule, while theoretically imperfect, is reasonably workable in practice. Of course, other obstacles face true majority rule. Maskin emphasized that he does not expect his theories to replace the electoral college system used in US presidencial elections; those kinds of changes require constitutional amendments, and constitutional amendments are hard to come by. But if individual states could be convinced to use true majority rule in the awarding of their electoral votes, he said, the U.S. voting system would stand to improve considerably. Maskin says no government or agency has come to him asking for help, but in the meantime, he's content to explain his theories to citizens like members of the Haverford community. And considering how packed Sharpless Auditorium was last Friday, it looks like plenty of people are willing to listen.